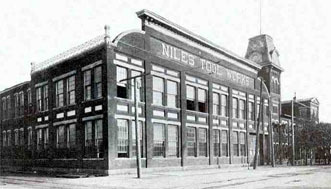 Niles Tool Works was founded in Cincinnati in 1845 by the Niles Brothers, James and Jonathan. 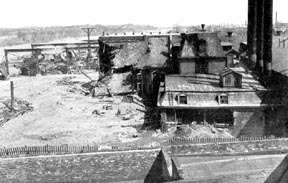 In March, 1871, ground was broken for a new facility in Hamilton. 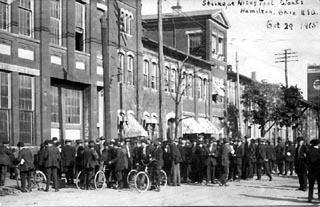 The City had been generous enough to supply the land and brick for the plant and the Hamilton and Rossville Hydraulic Company agreed to furnish, for a time, the water power to run the shops. With the spread of the railroad system, branch offices of Niles were established in Philadelphia, Chicago, New York, and Pittsburgh. 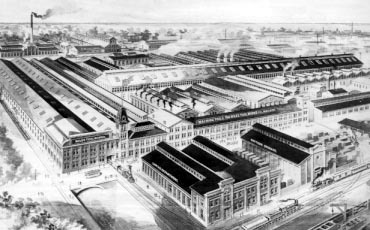 Niles boasted at that time that "every mile of track laid, every locomotive and car built and repaired contained something of Niles industrial life-blood." 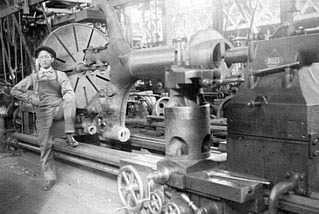 In 1899, Niles became a division of Niles-Bement-Pond Company and in 1928 merged with the Hooven, Owens, Rentschler Company of Hamilton to form General Machinery Corporation.